Insignia AA / AAA Batteries (36-Pack) – Just $7.99! 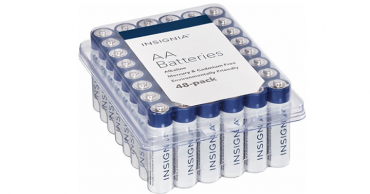 Insignia AA Batteries 48-Pack – Just $7.99! Stock up today! Insignia AA or AAA Batteries (8-Pack) – Just $3.49! Stock up price! 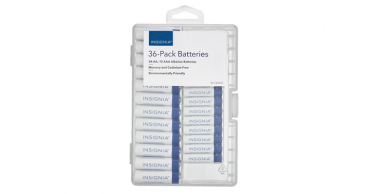 Insignia AA Batteries 48-Pack – Just $8.49! Insignia AA or AAA Batteries (8-Pack) – Just $2.49! Stock up price! Insignia AA Batteries 48-Pack – Just $6.99! 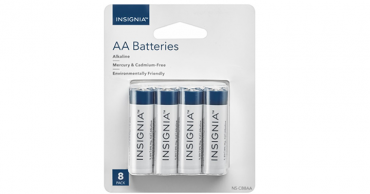 Insignia AA Batteries 48-Pack – Just $8.99 or $8.09!